Measuring 7” x 4 1/4” x 1/4” when closed ; 7” and 29 1/2” when fully extended. Ex Libris is both an accordion-style multiple and a series of seven digital prints. 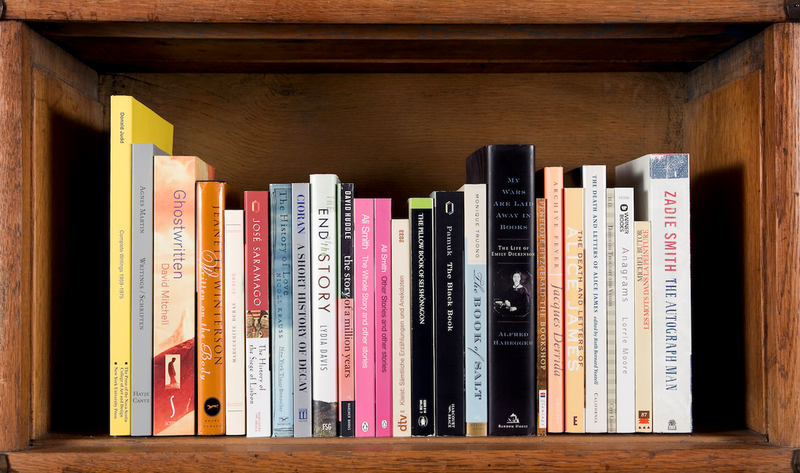 Initially bemused by interior decorators who reassemble clients' libraries into ‘mountain' and ‘valley' configurations, I set out to create meaningful and no less attractive concatenations of books. 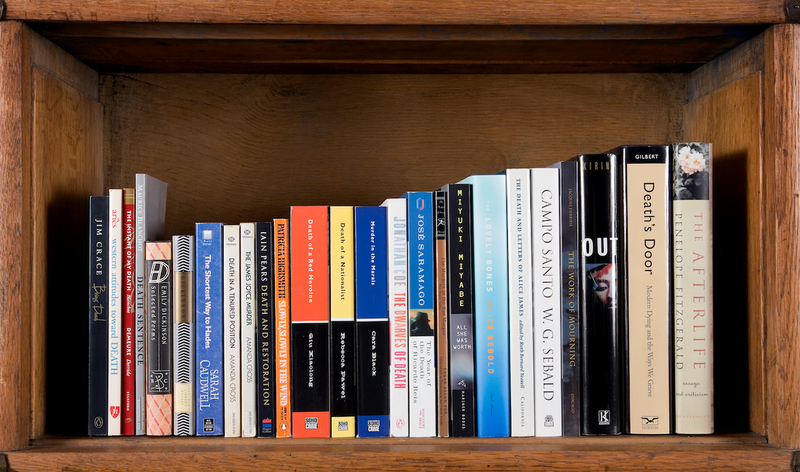 Acknowledging books as objects of beauty as well as substance, possessions people often refuse to get rid of even though they will never again be read, I reflect on what they might mean to their owner. Drawing from my own idiosyncratic approach to shelving, I grouped and ordered my books in certain arrangements staged for this project. 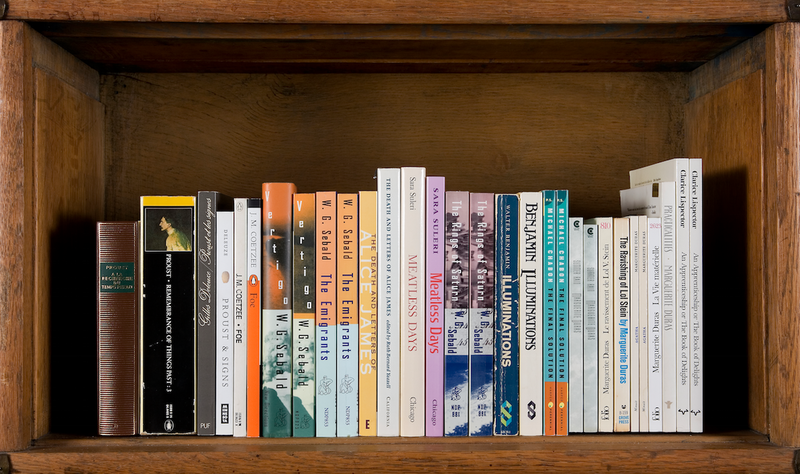 The titles visible on the books' spines act as curious placeholders that are enigmatic or evocative, depending on one's knowledge of the books in question. 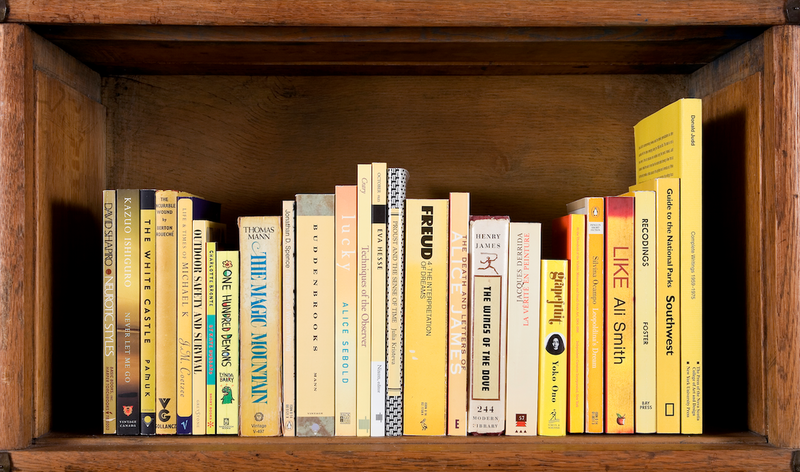 Beginning with Yellow Shelf and culminating in Death Shelf, the work ends on a hopeful note with mention of the afterlife. Overall, Ex Libris is an admittedly slow read. This project is inspired by Norman Bethune’s personalized bookplate, which reads: “This Book Belongs to Norman Bethune and Friends”. Bethune, the Canadian doctor eulogized by Mao Zedong, turned the proprietary notion of the bookplate upside down by this simple gesture. With a collectivist spirit, these bookplates read “This Book belongs to _______ and Friends”. 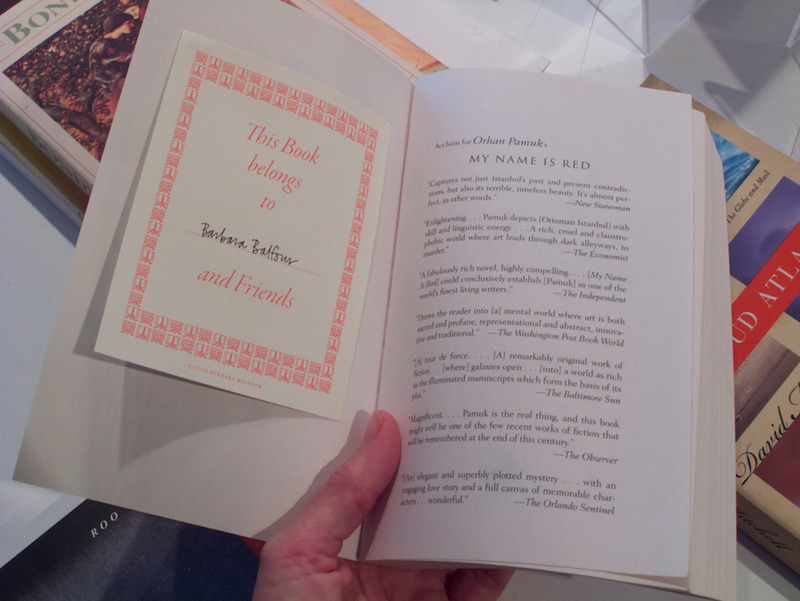 I have facilitated book-based events at Art Metropole in Toronto, Musée Joliette in Quebec, and at the Red Gate residency in Beijing, in which participants have inscribed their names on a bookplate, tipped into a book of their choice. Over the course of the respective events, coinciding with book launches and open houses, anyone was free to take a book, thereby extending its circulation.